At Staves Pediatric Dentistry, we provide a wide range of dental services for your children, with an emphasis on total preventive care. This begins with infant/toddler visits, regular check-ups and continued good home care routines. Education is important; Dr. Staves and her staff will go over tips and recommendations to develop a prevention plan for your child! Be sure to schedule regular exams and checkup visits. We provide many preventive measures to keep your child’s teeth clean and healthy, including sealants and fluoride treatments. First and foremost, we emphasize the importance of prevention. Prevention of cavities, gum disease, trauma, and more … we cover it! Prevention saves you time and money on dental care for your child. From infancy through adolescence, we are here to help every step of the way! Please know that a healthy mouth can not just be obtained solely at the dental office. It takes a team effort between the parent and child at home. Healthy diet choices and good oral hygiene habits are also essential to optimizing your child’s health in between visits! 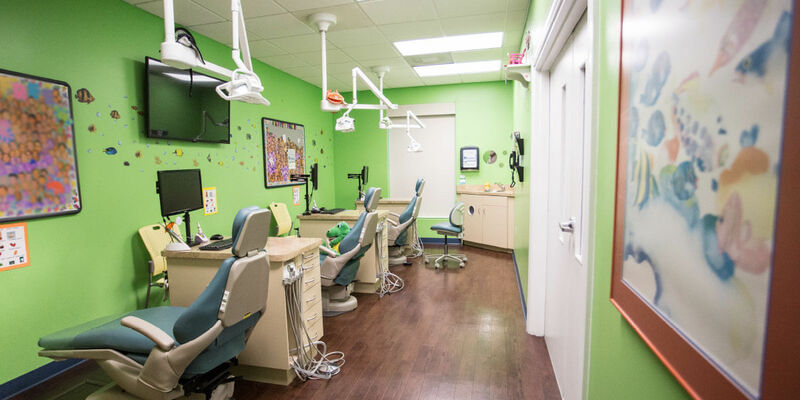 Our primary goal for your children’s dental development is to achieve and maintain the best oral health through advanced techniques, technologies and by maintaining their scheduled dental exams. Dr. Staves will always give you her best recommendation for your child’s teeth to be restored back to a healthy state! Knowing how young children behave, we strongly recommend young children under the age of 6 be seen in the morning when they are fresh; and we provide excused absence forms for you to bring to your child’s school if needed. Please click on the buttons below for descriptions of specific services.